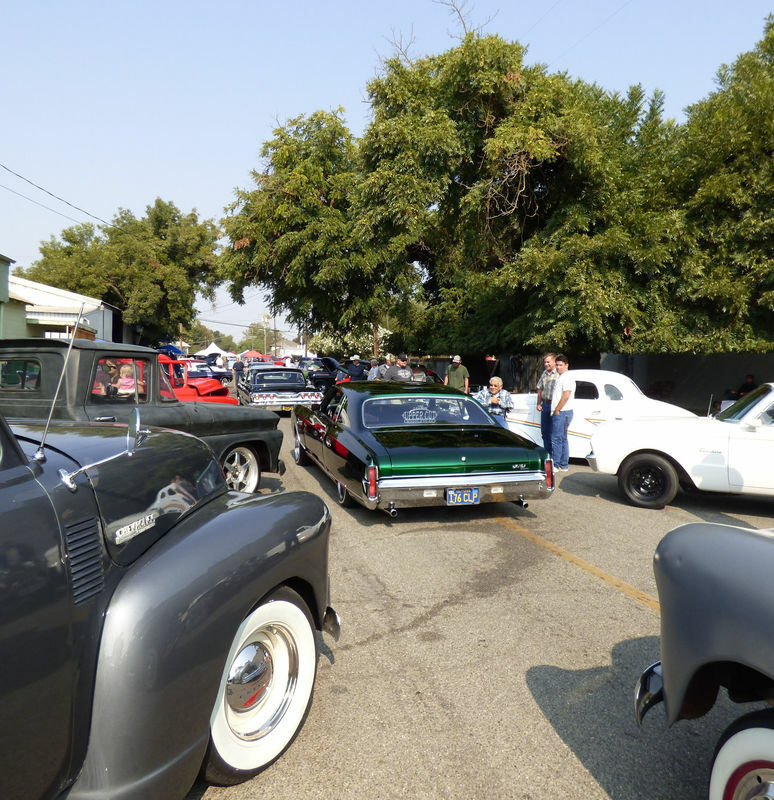 On August 25, over 700 people were entertained by the third annual “Cruisin’ into the Next Chapter” Classic Car and Truck Show and family fun day at the Yolo Branch Library. The event was sponsored by the Friends of the Yolo Branch Library and the Yolo Library, located at 37750 Sacramento Street in Yolo. ​David Arriaga was awarded Best of Show for his 1963 Chevy Impala SS Convertible. View photos from the Car Show. Matt Casias created a great video (about 20 minutes long) of the car show including aerial shots of every bit of the show, followed by street level video of every car, with wonderful detail of the lowrider bike show at the end -- all to some nice tunes. The direct link is: https://www.youtube.com/watch?v=83_5dfDPvEM. In addition, representatives from the local Fire Protection Districts awarded the “Fire Chief’s Award to Shawn Beaman Jr.’s 1937 Chevy Master Deluxe. This year’s event also featured an expanded youth lowrider bike show that included a competition for youth entries. First place, second, and third place awards were given in two categories with the People’s Choice award going to Favian Cano, age 15. The Friends of the Yolo Branch Library would like to thank the community for making this event a success. Over 100 volunteers as well as the County of Yolo, Yolo Fire Protection District, Yolo Blacksmith, Yolo Market, Cache Creek High School, and dozens more generous businesses worked with the Friends and Yolo County Library to make this event special. Families enjoyed walking among classic cars and trucks, listening to music by Rockwell Sound & Lighting with special guest DJs, viewing antique fire trucks from local fire departments, touring the historic Yolo Blacksmith building, viewing a Yolo Blasting demonstration, and learning about oil and battery recycling from Yolo County Integrated Waste Management. Kids also enjoyed free face painting and activities at the Yolo Branch Library, including a free book. All proceeds from this event went to the Friends of the Yolo Branch Library to fund library programs and services for the communities of Yolo, Zamora, Dunnigan and surrounding areas.